A professional storefront window decal can make all the difference when a potential client is making a decision on your business. 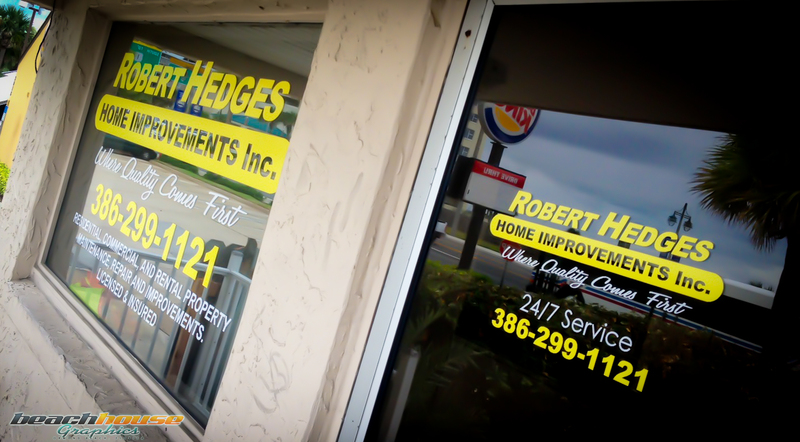 Having vinyl window signs on your building lets everyone know who you are and that there is pride in the business. Whether you are looking for the window stickers designed and made for self installation or you would like Beach House Graphics to install the storefront sign, we are here for you. Our self-adhesive vinyl lettering works great on windows. It comes pre-spaced and is easy to install. We can also make custom decals with your logo or graphic, call today for a quote 375.256.0998.